Our gorgeous little boy arrived in the early hours of Sunday 28th June. 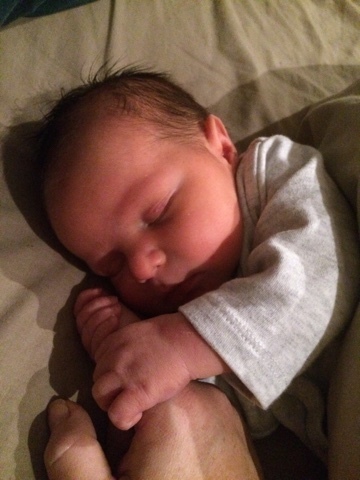 This is him at 2 days old, cuddled up to my finger while we napped together. He had his check-up with the child health nurse today and has gained 330gms and almost 3cm in length in the last 11days. Wow! He's settling in really well and everyone is besotted!